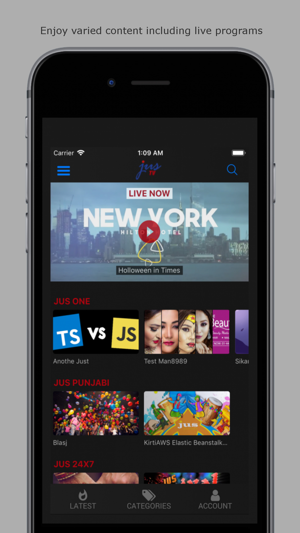 The JUS TV App brings you the best of JUS Broadcasting's TV channel lineup. 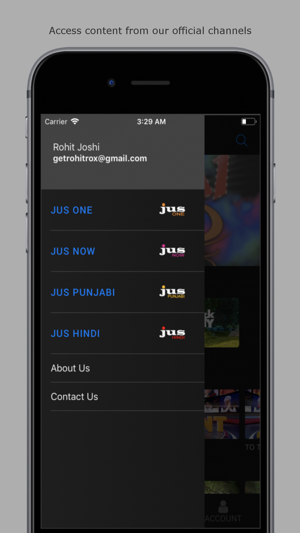 Watch your favorite shows and hosts from JUS Punjabi TV, JUS Hindi TV and JUS One TV all through the mobile app. Content includes daily news bulletins from India, on the ground reporting of NRIs happenings abroad, fresh Bollywood gossip, lifestyle originals and exclusive LIVE programming and events. Search the app using show names and watch the most recent or any of the show's older episodes. Jus TV content are available on paid monthly subscription basis. We offer a generous trial period of 3 month to allow you to fully evaluate our services and enjoy what we have to offer. Payment will be charged to iTunes Account at confirmation of subscription purchase. Payment automatically renews unless you cancel your account at least 24 hours before the end of the current subscription month. You can manage your subscription and/or turn off auto-renewal by visiting your iTunes Account Settings after purchase.